According to the Morning Post, the reconnaissance department of the North American United States Army has received information from official and reliable private sources about Austria and Germany's losses during the first half year of the war. On the German side 1.7 million people have been killed, wounded, missing and taken prisoner in the six months of the war. Austria has suffered almost the same losses. If we add the results of the last bloody battles on the Eastern Prussian Front and in the Carpathians, as well as the 120,000 prisoners taken in Premysl, the total amounts to about 4 million. The number of Austrian prisoners in Russia has reached 600,000 people. Dozens of female conductors who had once enthusiastically begun working are now fleeing their jobs. One of the main reasons for this phenomenon, shameful as it is, is the lack of toilets along the tramlines. The need for them during a shift of 7-9 hours is, of course, great. Of course male conductors have no less need of these, but somehow they are capable of doing without them. Women still have not developed such abilities. And thank God, because this could soon force the city to raise the issue of establishing a necessary number of such toilets along tramlines in various parts of the city, as other cities do. 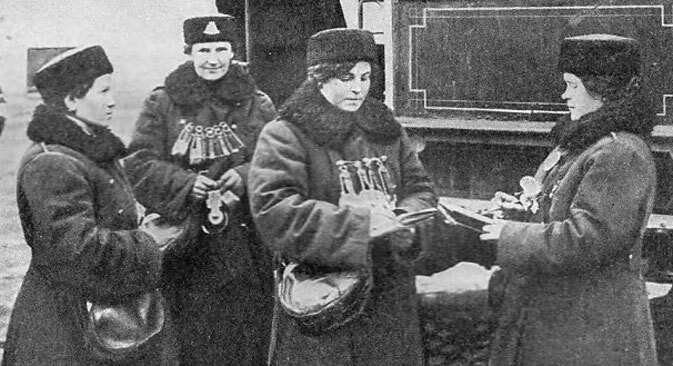 Lately, on the central streets of Petrograd [the name of St. Petersburg from 1914 to 1924 – RBTH], young ladies have been appearing in uniform resembling that of nurses. An investigation has established that these ladies have no relation to any community and do not have the right to wear such a uniform. All nurses are issued with a special card that they are obliged to show to law enforcement agents. Those who do not have the card will be sent to the nearest police precinct for identification. Yesterday on Nevsky Prospekt a number of women were already detained: They turned out to be habitués of various cafes. All of the detained are being brought to justice. It seems that expectations of the Moscow River flooding have been false. The water is moving very slowly. The dangers of a heavy flood occurred only on the night of April 1, when the sick and wounded were moved out of the riverside lazarettes [floating sick bays – RBTH] and food and drinking water were shared out in several low-lying houses. To subscriber #4: If a woman lives separately from her husband and he uses force on her and misbehaves, then take him to court, like anyone who is eager for mischief.